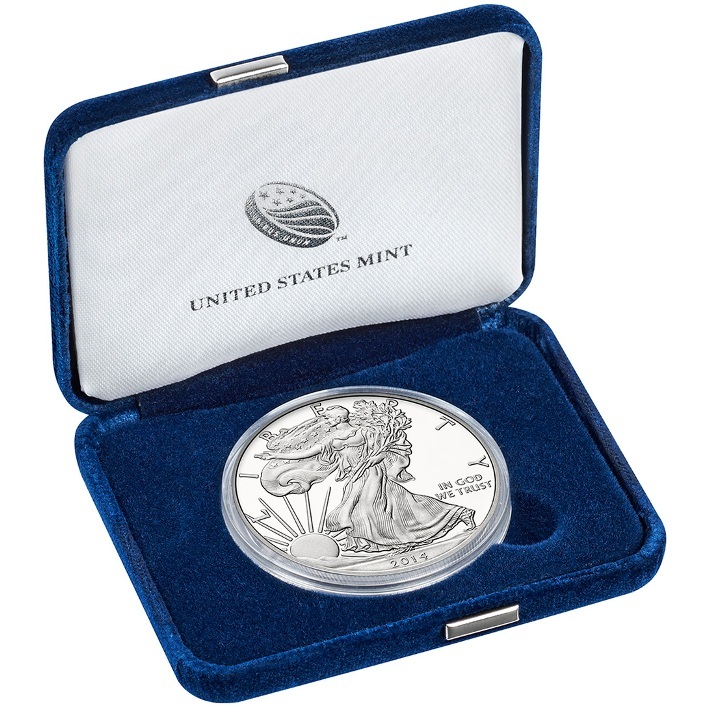 The 2014 proof silver eagle is minted at West Point, New York and includes the original mint packaging, velvet presentation case and Certificate of Authenticity. The coin features the prized "W" mintmark on the reverse. Copyright © 2000-2014, Silver Eagle Coin Company. All rights reserved.